When a patient requires strep throat treatment, waiting for an appointment with a primary care doctor in The Woodlands, Texas, potentially means days of discomfort and missed work or school. Fortunately, Davam Urgent Care offers a better solution. Our clinic accepts patients any time between the hours of 8 a.m. to 9 p.m. and we never require an appointment. Plus, we’re open seven days a week, so even if you or your child becomes ill over the weekend, you won’t have to wait to receive care. At Davam Urgent Care, every patient is examined and treated by a highly experienced, board-certified medical provider, ensuring they receive the highest quality of care. In fact, we are the ideal alternative to freestanding emergency rooms, as we are in-network with most insurance providers and we offer affordable, straightforward pricing. Plus, there is typically little to no wait time to receive treatment at our facility in The Woodlands, TX, so you can get the care you need without enduring a long interruption to your day. 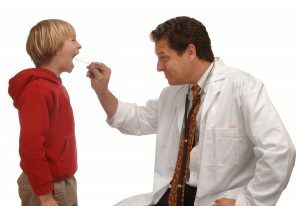 If you or one of your loved ones needs strep throat treatment, and would like quick care from experienced and compassionate providers, visit Davam Urgent Care in The Woodlands, TX, today. Don’t forget to sign in online using our online check-in system to reduce or eliminate your wait time at our clinic.